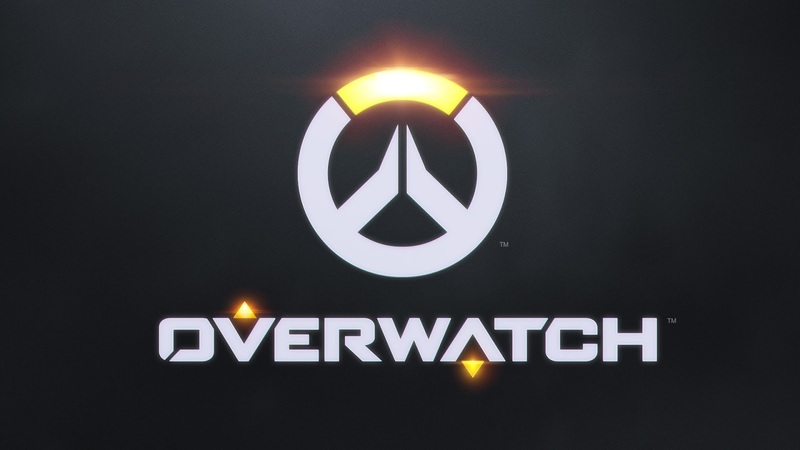 Overwatch is an online-only, multiplayer shooter by the creative minds at Blizzard. Can the team behind World of Warcraft, Heroes of the Storm, and Hearthstone turn an FPS into their next big hit? Or does Overwatch fail to hit the mark? Read on to find out! There was a point in April when I, like many others, was uncertain of two upcoming titles: Battleborn and Overwatch. At the time you would be hard-pressed to hear about one and not the other. While Battleborn just wasn't the game for me, I was immediately hooked on Overwatch after seeing gameplay. Overwatch is much different than your average shooter, especially if you're a console gamer such as I am. 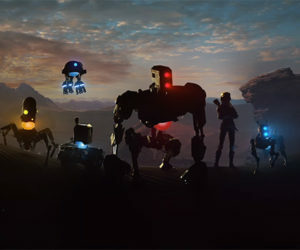 Dubbed as a "Hero Shooter" the game features 21 unique characters split into four categories: Offense, Defense, Tank, and Support. Not only does each character have a unique playstyle, but they all have very differing personalities and appearances. Blizzard has brought their world building mentality over to the FPS scene and it clearly shows. From Russia and Japan to Sweden and Egypt, Overwatch features one of the most colorful casts I've ever seen in a video game. But looks aren't everything. The heroes are at the core of what makes Overwatch so enjoyable. Every game is a new experience depending on your team selection and the opponents. While most shooters have large element of teamwork at the competitive level, Overwatch is a team-oriented game at every level. But not only that, the game heavily rewards teamwork. Eliminations are the combination of kills and assists. While nearly every other shooter splits these two, Overwatch combines them into one stat. It's one of the features that makes every match enjoyable, no matter if you're a healer, tank, or staying back playing defense. In a game where heroes are at the focus, Blizzard pulled of an amazing feat in making every hero balanced. It seems like it was every other game I was proclaiming how good an opponent was with a hero I previously doubted. But this is also where the teamwork aspect comes into play. A team with strong upfront defenses can allow a Genji or Tracer to wreak havoc. While a team without support can easily be overrun. One of the biggest grips I've heard about Overwatch is the fact that it's a multiplayer-only game. I've stated before in the past the multiplayer-only games are no different than singleplayer-only games. That statement rings true with Overwatch. While I can understand the desire for a singleplayer campaign, the game stands on its own as is. It's easily one of the best multiplayer shooters I've ever played and quickly becoming my next obsession. A huge component to Overwatch is the Loot Boxes. Available as a reward when leveling up or for purchase as microtransactions, Loot Boxes award players with unlocks for each hero. 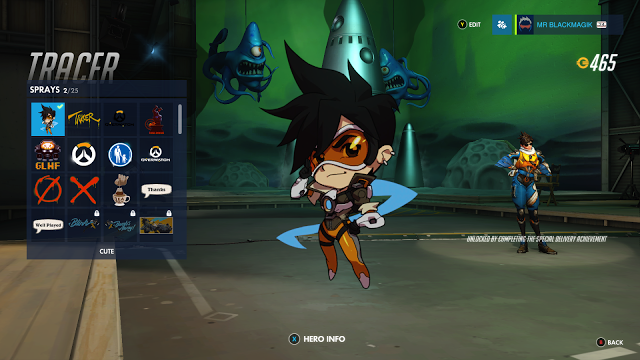 Unlocks come in the form of skins, sprays, player icons, and more. While none of the unlocks alter gameplay, players are quick to drop a couple dollars in the hopes of getting Legendary unlocks. I can't blame them as some of the Legendary skins look insane. It's little things like these that add to Overwatch. Before matches, Defenders have sixty seconds to setup while the Offensive team patiently sits in a room. The emotes, sprays, and miscellaneous items around the room keep players occupied until its time to fight. One map includes a basketball hoop and a few balls to try and sink, another includes a fully destructible arcade, and some times your team just goes crazy spray painting their logos over the walls. Overwatch may not be for everyone, but it is simply one of the best multiplayer shooters to come out in recent years. While it may be lacking on game modes and a singleplayer component, neither take away from the fun experience had while playing the game. Every hero brings a new experience and every match is an intense battle. Don't call it a MOBA, but Overwatch is the next big hit from Blizzard.